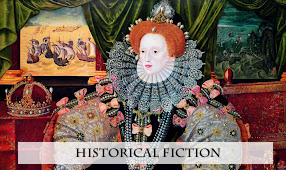 "The Rebel Wife" by Taylor M. Polites~Historical Fiction At Its Best! Meet the Author: Taylor M. Polites is a novelist living in Providence, Rhode Island with his small Chihuahua, Clovis. Polites’ first novel, The Rebel Wife, is due out in February 2012 from Simon & Schuster. He graduated in June 2010 with his MFA in Creative Writing from Wilkes University. He has lived in Provincetown, Massachusetts, New York City, St. Louis and the Deep South. He graduated from Washington University in St. Louis with a BA in History and French and spent a year studying in Caen, France. He has covered arts and news for a variety of local newspapers and magazines, including the Cape Codder, InNewsWeekly, Bird’s Eye View (the in-flight magazine of CapeAir), artscope Magazine and Provincetown Arts Magazine. Polites is an extraordinary new talent in Southern fiction, and both the book and author are being embraced by the biggest names in Southern literature. Early readers of The Rebel Wife have been delighted by the echoes of Flannery O'Connor, Tennessee Williams, and Cormac McCarthy in this genre-subverting southern gothic novel with a more contemporary understanding of the stereotypes that were prevalent in Margaret Mitchell’s day. As you read The Rebel Wife, you'll find tattered fragments of Gone with the Wind and meet completely subverted versions of the white Southern Gentleman, the good Mammy, the conniving Scalawag, and the defenseless Southern Belle. Polites was born in Huntsville, Alabama, the basis for the town of Albion in this book, and has been researching this novel since he was 15 years old, when he volunteered to work at a historic home there. He became obsessed with the Southern experience during the Civil War; read diaries, memoirs, and letters from that time; and ultimately imagined and mapped out the town of Albion, much like William Faulkner created his Yoknapatawpha County. He is deeply knowledgeable about the time and place he writes about and its literature, giving this book impeccable authenticity and authority. 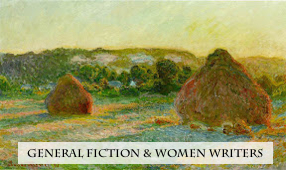 Did you find it difficult to write from a female perspective? What led to the choice of a central female character rather than a male protagonist? Yes! I did find it difficult. There were moments where I thought, “What am I doing trying to project myself into the body of a 29 year old woman in 1875? What on earth do I know about this?” But as a writer, too, I like a good challenge. It definitely put my imagination to work. I have always had a fascination with strong women characters from my first acquaintance with Scarlett O’Hara, at least (I was about 13). 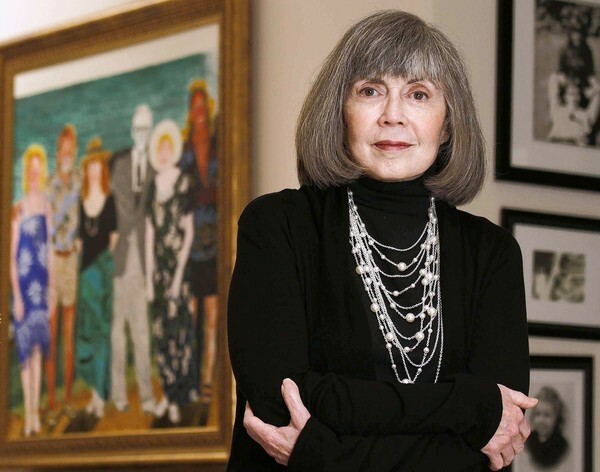 Women in fiction have always been a big draw for me—and real women from the Civil War period also fascinated me. 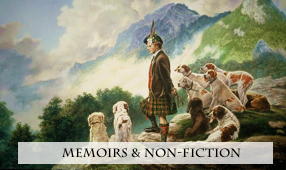 There is a wealth of voices that remain to us in letters, diaries, memoirs and essays. From Louisa McCord, the firebrand conservative political philosopher of mid-19th century South Carolina, to her peer Mary Chesnut, the smart, ambitious and witty diarist who moved in the highest political circles during the war. There are Huntsville voices, too, that served as muse for me. The passionate and frank letters of Kate Fearn Steele to her husband, Matt, collected along with other family letters in Cease Not to Think of Me. And the vain Virginia Clay Clopton, who is changed by tragedy during the war and becomes the most ardent petitioner to the President during the imprisonment of her husband in Fortress Monroe. Her memoir, A Belle of the Fifties, tells her life story in her own words (more or less, she had a co-writer). Whenever I was going to sit down and write, I would open up Mary Chesnut’s diary or Kate Fearn’s letters and read passages to get a sense of the voice and view of these women. That he mentioned "Gone With the Wind" and its impact on Southern literature...What was his relationship with the book? I first read Gone With the Wind in the seventh grade. We had a choice of books, but Gone With the Wind called to me. I played sick for most of that week so I could stay home and read it. I read it all the way through and then started it again, I was so bowled over. I read it again and again as I went through high school, at least fourteen times. It led me to read other books about the period, whether they were John Jakes’ North and South or Lonnie Coleman’s Beulah Land. I turned to original sources, too, like Mary Chesnut’s diary and the memoirs of Fanny Kemble from her stay on her husband’s Georgia Plantation, the memoirs of Susan Dabney Smedes of Mississippi and Sarah Morgan’s Louisiana diary. In college, I continued reading, but pursued a more academic research into the South. There, I began to understand the disconnect between the “Old South” in many novels and the “Old South” as it really existed. That disconnect was initially difficult for me to reconcile. I didn’t want to know the truth, but it was undeniable. That is the pull of a romance, isn’t it? There is so much beauty to the daydream that you don’t want to let it go. There is something of that in Augusta, too. Today, I respect Gone With the Wind as a great piece of storytelling and a very influential book, but I regret its representations of African-Americans and the sentimentalist viewpoint Mitchell takes (and can’t help but take). I will always be attached to Gone With the Wind, but I like the idea of having a counterpoint to read with it, like Alice Randall’s wonderful The Wind Done Gone. I love history and I love to read. When I’m not writing, I’m usually reading history books—and all sorts of history. Ancient Rome, Renaissance France, American History, Ancient Egypt and Mesopotamia. I also read as much fiction as I can. I grew up in Huntsville, Alabama, a place that has a beautiful antebellum historic district. I read Southern books, like Gone With the Wind, and was captivated by the combination of these things, the physical world around me and the imaged one in books. As I grew older, I studied American history and in particular the history of the South. I learned that the stories that often went with the beautiful homes often left out a large part of the story. 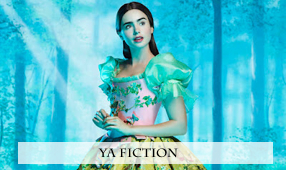 I wanted to write a book that had the same sense of drama and tension, but told a fuller version of the story, a version that might achieve the same feeling of myth, but with more honesty. 3) Please share with your readers where you like to write. Do you have a particular space or desk? What can you see from your desk? Do you have props you use to write from? What about special "charms?" All I really need to write is quiet. Sometimes I like very low music. 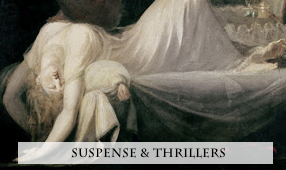 In writing this book, I had Philip Glass’ music from The Hours on over and over again—but it is like quiet, an inobtrusive wallpaper with a very soft heartbeat that went well with the mood of the story. I love libraries. I have spent many hours in different libraries, particularly the public library in Provincetown, Massachusetts, sitting on an upper floor at a table in front of a window that looks out over the harbor. There was something very meditative about looking out at the sky and water and the thin horizon line, something that worked with Glass’ music and the story I was writing. The most successful books are ones that create a whole world that wraps the reader up. If you find yourself lost in the story, that is the mark of a great book. The first book I remember reading where I really felt like I had been struck by lightning was Gone With the Wind. I had read other books kids read at that age and before, Superfudge and Rumblefish and others, but when I was 12 or so and read Gone With the Wind, that was life changing, all absorbing. I read Agatha Christie books obsessively during my eighth grade year, every single one of them. 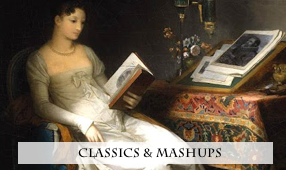 In high school, I moved on to Jane Austen and remember feeling that same sense of electricity when I read Pride and Prejudice, that sense of exquisite beauty in the voice and development of a character. I have read a ton of great books in the last six months! Coming Up for Air by Patti Callahan Henry, The Butterfly’s Daughter by Mary Alice Monroe, The Healing by Jonathan Odell, Their Eyes Were Watching God by Zora Neale Hurston, Scarlet Sister Mary by Julia Peterkin, Triple Time by Anne Sanow. All amazing, wonderful books—and that’s just a few! Every reader’s experience is going to be unique. That is part of what is wonderful about reading books—each person will bring their own perspective and take away different things from a single read. 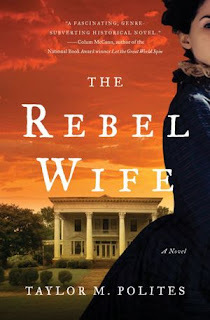 But The Rebel Wife tells the extended story of the Civil War, and if there is one thing I would like a reader to think about, it is that Reconstruction is not a stand-alone period, but fundamentally attached to the experience of the Civil War. Not everyone will agree with the struggle of Reconstruction as I have painted it, but I would hope that it would make people question the myths of this period that are still perpetuated. I would hope that it would make them think about how the aftermath of Reconstruction continued to echo through the twentieth century. There were a number of titles that we went through before settling on The Rebel Wife. My editor said that the title is often the most difficult part of a book, and I did find it very difficult. Those other titles were discarded for valid reasons. We should let them rest. The Rebel Wife is a title that is truly fitting to the story and contains layers of meaning that represent the book beautifully. That is a tough question! I don’t know of a single song that could represent the book, but music is very important to the story. I used many popular and spiritual songs in the book. My favorite is probably Balm in Gilead, which is such a beautiful spiritual. Also, I Can’t Stay Here By Myself, which is so haunting and sad. And the dance tune Sallie Goodin and the waltz Aura Lea, which was the basis for Elvis’ hit Love Me Tender. Rather than rewriting this book, I am looking forward to writing the next! I hope I am not a writer who feels the need to rehash and revisit finished work. The manuscript is complete and I feel the story is complete, not requiring any changes. I learned an immense amount about writing, characters, plotting, and story from this experience and I look forward to putting all that I have learned to good use on the next! I'm holding my breath until your next book comes out, too!! 11) What was the worst distraction you had to fight through while writing your book? Doubt is always the biggest obstacle. I think this is true for many (if not all) writers, and it is very true for me. Spending so much time in your head when you are working on a book naturally leads to self-questioning: Why am I doing this? Is it any good? Will anyone care? Why should anyone care? But I work hard to manage that voice of doubt using journaling, meditation, exercise and the support of good friends. Receiving the box of copies (the galleys) with the cover on them and the text basically complete was a dream come true. This entire experience has been a dream come true. I have had the desire to write books for my entire life. The doubt I mentioned before comes very easily, especially your first time at writing. So to have fought through it and to have written a book that is getting the kind of support and interest that it has received is truly a gift beyond anything I could have realistically expected. I have truly accomplished the one key goal I have had for so many years—and now my goal is book number two! 13) Tell us a secret about your book we wouldn’t otherwise know, please! When my editor first read the book and we had a conversation about it, she asked if there weren’t whispers of Gone With the Wind in it. I had written many little references of varying subtlety into the text and no one until then had remarked upon it. I thought, well, it will be my secret. It will be something I put into this story for myself. Needless to say, I was very surprised and very thrilled that she connected with those whispers and I hope there are many other readers who enjoy them, too. Thank you for allowing us to spend time with you, and for bending to my nosy questions!! Thank you so much for your great questions and your interest in The Rebel Wife! "The Rebel Wife" is an easily entertaining, enjoyable book, and I think many have forgotten that that's important any time we assess the value of literature; it is this singular reason we read at all. Without this primary component, no one would read. If a book cannot entertain, cause us to become "lost in it," in its "other world" liness, as Mr. Polites said so well, then it can't be called a "good book." As reviewers we sometimes forget this important factor, as it pales in comparison to our attempts at flowery and intelligent-groping descriptions... I'm happy to report this is a very good book. I'm a Southern girl, born and bred, read all the books that Taylor mentions, did similar research, belonged to historical restoration foundations, you name it... I've had a bone-bred love of all things that made and still make the South what it is. My family's blood was spilled to build up and tear down and rebuild both the North and the South for many generations. I understand Mr. Polites heart and a bit of his soul in this book, I believe. His cadence touches my heart. I hear it in his writing. The songs of the South...the speech... I hear and see the familiar peoples. My mind can see the church people, the hymns being hummed, the boy in the black suit ringing the bell down the dusty street proclaiming the death of Mr. Eli; it's in my blood. I can feel the heat of a summer day when the ice melts on your sweet tea before you can taste it. And I know the condescension of Southern men; particularly toward unprotected and unmarried women. I recognize the prejudices and the powers of those who seem to be the powerless. It delights my heart to read about strong women who overcome. How beautifully and craftily and quietly Taylor Polites has laid these things bare for us, and for those who can "see" and those who can "hear." This book is not a new "Gone With The Wind," so I hope the expectation of that isn't found here. I love GWTW for what it is and what it represents of the Old South. It's a classic, and nothing will replace that wonderful book in American literature. Rather, "A Rebel Wife" is a new interpretation. It touches upon the subtle ways peace and readjustment came to the South, and continues to be won there. I love it for what it has to say. It's a worthy book, and it's a beautiful story. Wonderful post! The book is great and so is Taylor! What a fantastic post, you guys - top notch work by Taylor and Deb. I love the description of hearing the cadences of the South in the writing - just beautiful. Wow! Thank you so much, Deb! You truly bring tears to my eyes with your beautiful review--yes, the cadences and the voices, the dusty streets and the hymns. Thank you so much for your beautiful insights and tenderness toward The Rebel Wife! It was a pleasure answering your questions and a pleasure hearing your thoughts!